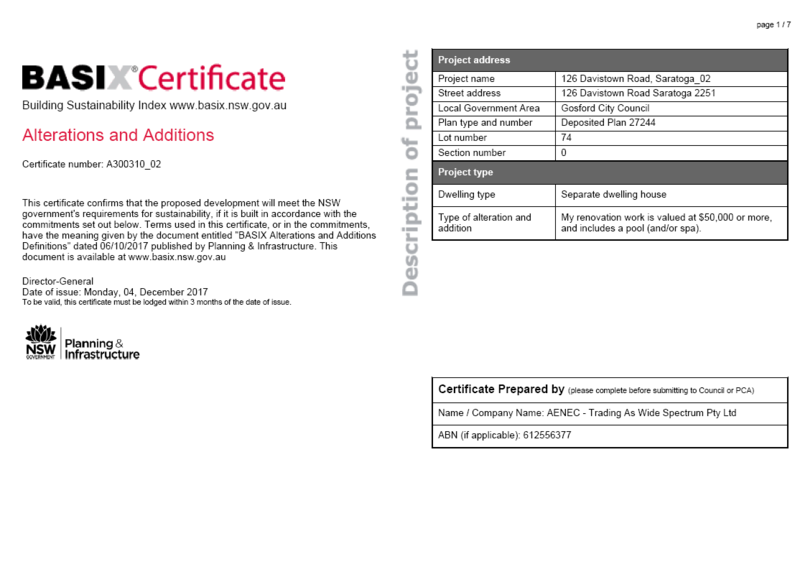 We undertake the whole process of BASIX certification; including preliminary design advice when required, full calculations for thermal comfort requirements using AccuRate Sustainability, we provide expert advice for the best combinations in order to achieve BASIX compliance for energy and water sections. So far we have 100% success rate in terms of council submissions. The aim is to make developments meet the minimum performance standards by using the most economical in terms of thermal performance materials/components based on the design parameters. When needed, we will recommend adjustments of materials/components in order to achieve the desirable results, for you. AENEC will provide you the best available advice for BASIX commitments as well as in regards to the NatHERS (thermal comfort simulations) and will optimise the design of your new home (or existing one), by using the latest available engineering techniques and industry standards.